Walking up to Rose Beerhorst’s booth at The Market on First Fridays in June, her bright, circular rugs with tasteful bold patterns immediately caught my eye. 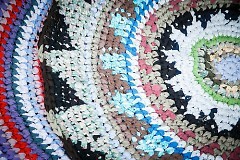 They have that cozy, handmade feel that would bring warmth and folky style to any room. Rose tells me that her goods are made almost exclusively from recycled fabrics, and she finds it exciting to turn something old and forgotten into something new and special. 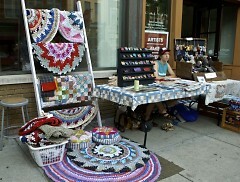 Check out her work on August 1st at The Market on First Fridays! Also, be sure to visit her website, blog, and facebook page! "I just watched a beautiful documentary called "The Source Family" that chronicles the rise and fall of a late 60's early 70's hippie cult. I am fascinated by fringe religious movements." Who is another vendor that inspires you? "I am very inspired by Eliza Fernand who just recently left California to live in GR. 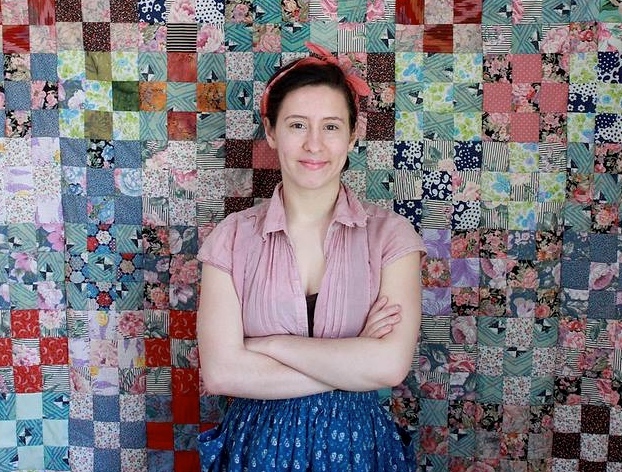 She is an amazing textile artist, teacher, and my hero." As we count down to The Market on First Fridays in August, look out for a new article every Wednesday! 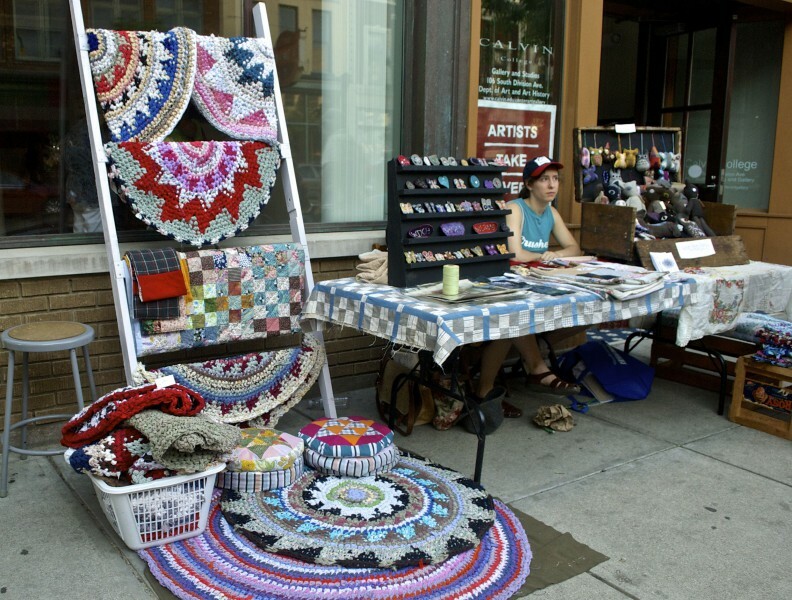 Learn about a participating vendor every week in July in the Vendor Spotlight Series.